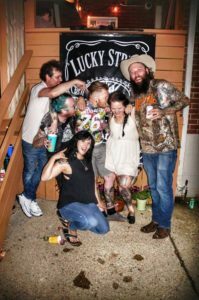 Lucky Strike’s Annual Summer Bash! Lucky Strike is turning 10 years old this year and we want you to join us for what’s sure to be the best party of the summer! Stop in and say hi! Dunk Tank. Mexican Food Truck. Karaoke and more! BYOB from 3pm till the early hours of the morning. More details to follow! Check out our Facebook/Instagram pages for more posts. The entire Lucky Strike crew will be attending the 1st Annual Winnipeg Tattoo Convention alongside some amazing artists. Our shop will be closed from Thursday, August 17 to Saturday, August 19, but will be back to our regular business hours, open on Tuesday, August 22 at 11am. 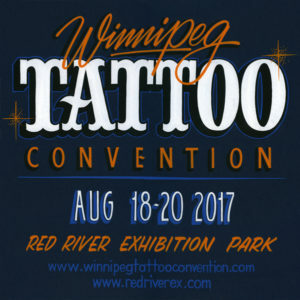 For more information about the Winnipeg Tattoo Convention, you can follow the event on Instagram or through its website. To book with any of our artists for the Winnipeg Tattoo Convention, contact them directly or email us!